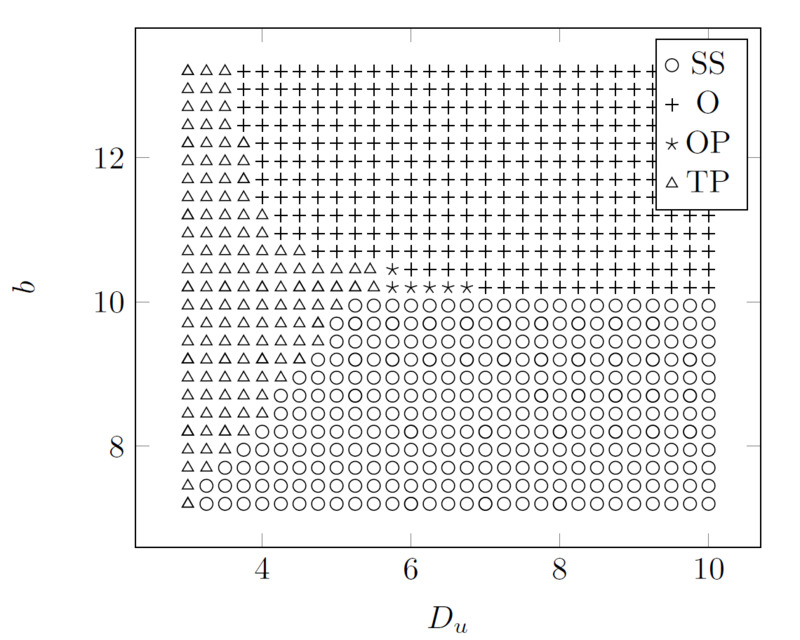 Project: Stationary and Oscillatory Patterns in a Coupled Brusselator Model. Description: This page presents an interactive form of the numerical simulations related to the article, Stationary and Oscillatory Patterns in a Coupled Brusselator Model , submitted for publication to the journal , Mathematics and Comptuers in Simulation. Figure 1: Click on any symbol in the figure below, to view the simulations for the respective parameter values. Please Note: Use Google Chrome to view animations.